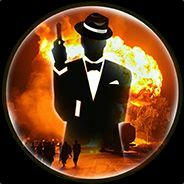 Welcome to the official steam group of Agents Of Chaos Gamers! If you enjoyed playing on our servers, we encourage you to tell your friends and check out all of our other servers! Feel free to leave a comment and tell us what you think. The map nmo_stairwell_test has been removed until it is updated by the author. I'm here with a community update for our NMRiH servers. Let's begin, shall we? We've updated the servers to include the latest popular maps around the NMRiH community! If you would like to see anything else, simply post on forums! Sako 85 (Ironsights) for donors. Simonov SKS with no Bayonet. Simonov SKS with Bayonet is now donor only. Also patched a minor bug that caused the menu not to reopen sometimes after picking an option. We've made a couple of changes to our forums in order to curb low quality posts and moderator applications. Users with less than 5 posts will not able to perform certain functions such as starting a conversation or submitting a moderator application. In addition, your first five posts will need to be approved by a moderator. You will also need to link your forum account with your Steam account. Users who continue to post low quality posts after passing the new user stage will be warned and possibly have their posts forced to moderation mode again. !donate just brings me to a gray screen saying: -105. Any mods here at the moment? Some dude is being a troll on NMRIH #4. Name is K.V. Bones. Keeps trying to block people, won't progress unless other do so he can get behind them, spams mic being cancer. Would appreciate some help. how do i apply for admin/moderator on nomore room in hell?